Provide comfort for the family of Letterino Isabella-Valenzi with a meaningful gesture of sympathy. Peacefully, April 14, 2019 at Health Sciences North, Sudbury with his loving family at his side. Beloved husband of Michelina Isabella-Valenzi (predeceased, May 11, 2018) married 72 years, are now reunited. Loving father of Giovanna “Jane” Folino (Francesco) and Concetta “Connie” Isabella-Valenzi (Rocca). Cherished Nonno of Anthony (Marissa), Vittorio (Carol), Claudia (Nicholas), Tina (Cory), Michela Jennifer, and Peter Justin “P.J.” and Bis-Nonno to Nicolo, Isla, Xavier, Talen, Cristiana, Eloise, Romeo and Jackz. Dear son of Pietro Isabella-Valenzi and Giovanna Mete both predeceased. 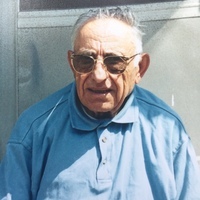 Dear brother of Bruno Isabella-Valenzi (Rosa), Alberto Isabella-Valenzi (Concetta) , Adelina Isabella-Valenzi (Fiore), Teodoro Isabella-Valenzi , Giacomino Isabella-Valenzi, Carmela Isabella-Valenzi (Santo), Rosaria Isabella-Valenzi (Antonio). Survived by his sisters-in-law Giovanna Isabella-Valenzi (Teodoro) of Italy. Sadly missed by many nieces, nephews and lifelong friends. Letterino left Italy to come to Canada for a better life for himself and his family, and helped so many others from Italy to do the same. He was generous to his family and friends always making sure they had what they needed. He took pride in his traditions including winemaking, gardening, picking blueberries and mushrooms and of course making homemade salami. He also loved fishing, hunting, playing cards, and watching hockey and soccer. In his younger days he enjoyed playing soccer and later in life he was his grandkids #1 fan on the soccer field. 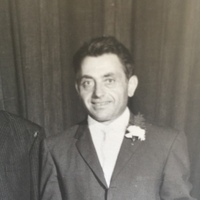 Letterino worked at Inco and was also a life-long member of the Caruso Club. He and his wife also enjoyed travelling to visit their family in Italy, Argentina and the USA. He lived a long full life and left a great legacy of love for his children, grandchildren and great-grandchildren. Our sincerest thanks to all those at St. Joseph’s Continuing Care that loved Letterino and took great care of him in his last years. To send flowers in memory of Letterino Isabella-Valenzi, please visit our Heartfelt Sympathies Store. Consider providing a gift of comfort for the family of Letterino Isabella-Valenzi by sending flowers. We encourage you to share your most beloved memories of Letterino here, so that the family and other loved ones can always see it. You can upload cherished photographs, or share your favorite stories, and can even comment on those shared by others. May the family of Letterino Isabella Valenzi please accept my sincere condolences hoping you find comfort in God's words at Acts 24:15 and Psalm 37:29.